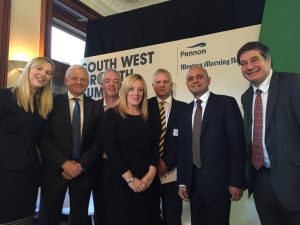 By establishing the company as the driving force behind South West devolution we were able to gain high profile media and political traction for Pennon. Specific activity included organising a South West growth summit with Rt Hon Sajid Javid MP, and the development of a policy charter for economic growth in the region which was presented to No 10. The campaign was shortlisted in the CIPR’s 2017’s awards.